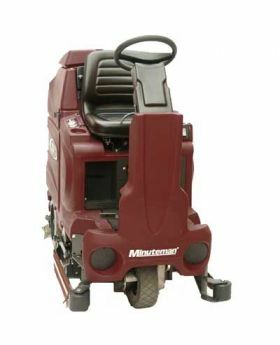 Minuteman SCV 32 is an ultra compact and versatile rider scrubber packed with power. Maneuvering through tight spaces with ease. Features a single front wheel drive that provides optimum traction and allows it to turn 360 degrees on it's own axis for exceptional maneuverability. Durable construction with rectangular structural tubing (truck style full ladder frame) that is powder paint coated to resist corrosion.